The IBANX™ Standards of The Investment Banking Council of America (IBCA) fill-up a gigantic vacuum experienced by investment banks ever since the industry came into its own after the first oil shock. The vacuum was due to the absence of a unified, global knowledge standards-framework for investment bankers of the world. Today, IBCA leads the world in innovating models, standards, systems and practices of validating and credentialing excellence across the entire spectrum of conventional and emerging investment banking professions. The IBCA-IBANX™ standards prescribe for finance and investment professionals, all areas in which critical comprehension and mastery is needed for them to raise their investment banking expertise to the next level. IBCA is the world’s first and the only credentialing and standards body that focuses almost entirely on the market and firmographic dimensions of Investment Banking, extending the fabric of professional wisdom beyond the mathematical models of valuation and analytics. 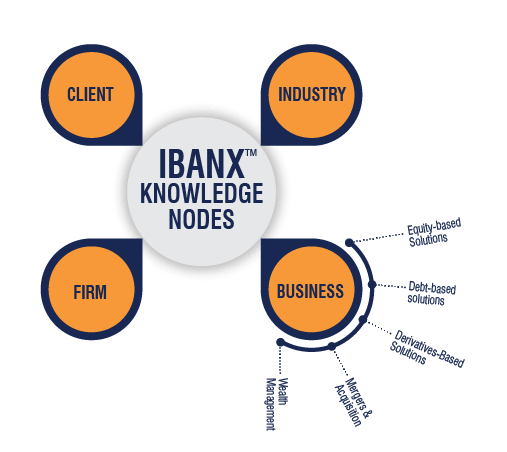 The IBANX™ Investment Banking Standards model is easily, the world’s most advanced of its kind for finance, investment and accounting professionals aspiring to build and validate their Investment Banking competence along, for the most advanced of the Investment Banking practice contexts and environments. The IBCA Investment Banking Excellence (IBANX™) model spells out knowledge standards across four core IB tangents for professionals who work on, or will work in assignments and roles that require them to study, design and execute decisions related to raising finances for client companies from debt or equity markets; or those on acquiring or merging companies for them; or developing creative financing options for clients using derivatives, and even decisions linked to multiplying wealth of high net-worth individuals. All credentials of IBCA are based on exams aligned to the IBANX™ Investment Banking standards. The IBCA-IBANX™ enunciates 60 areas across which IBCA divides Investment Banking knowledge as excellence-essential for professionals engaged in the practice of Investment Banking. The Body of Knowledge of IBCA that defines the mechanism of credentialing for the two IBCA certifications is fleshed around the IBANX™ framework. Called the IBANX™ Body of Knowledge, this also enunciates the structure, content and policies of certification exams. The IBANX™ grid encapsulates 60 themes of critical attention and learning, split across the 4 core investment banking knowledge tangents - making it very convenient for recruiter investment banks to understand the knowledge they should be looking for in job-applicants. That is exactly why, the IBANX™-based credentials of IBCA become a highly effective recruitment- and mobility- decider tools for organizations. The IBCA Investment Bankers’ Studyware – the kit for certification exam preparation – too, has been written in accordance to the stipulations of the IBANX™ Body of Knowledge. It is given free to every individual registered for a certification of IBCA.